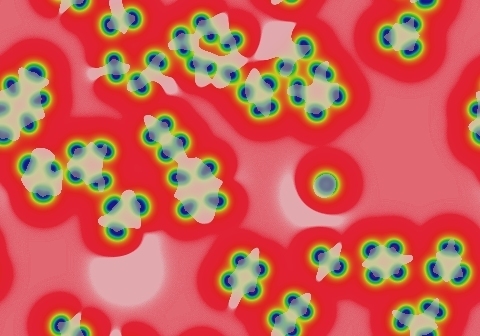 These images and movie demonstrate the behavior of the Gray-Scott reaction-diffusion system with σ=Du/Dv=2 and parameters F=0.0260, k=0.0610. 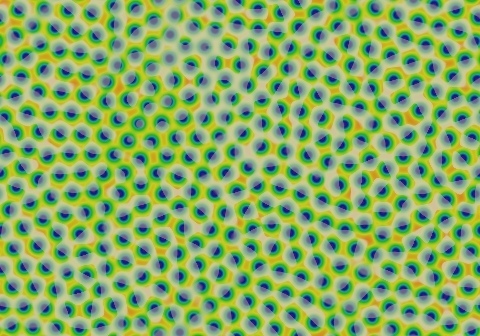 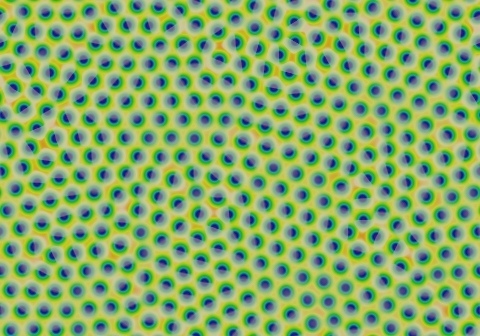 Isolated spots become short-lived rings; everything soon breaks up into mitotic solitons which vigorously fill all space (generation interval about 325 tu). 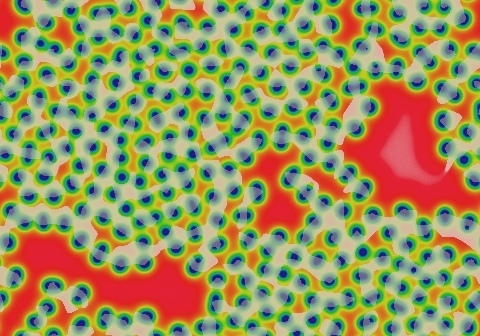 Cells rearrange into hexagonal close packing and stabilize usually in about 75,000 tu.